We had an exciting start to the new term, when the fire brigade came to visit. We were able to sit inside and use the water hoses. We went to look at the Remembrance display. We looked for the poppies we had made. Wednesday 7th November- the children have enjoyed finding out about the festival of Diwali. 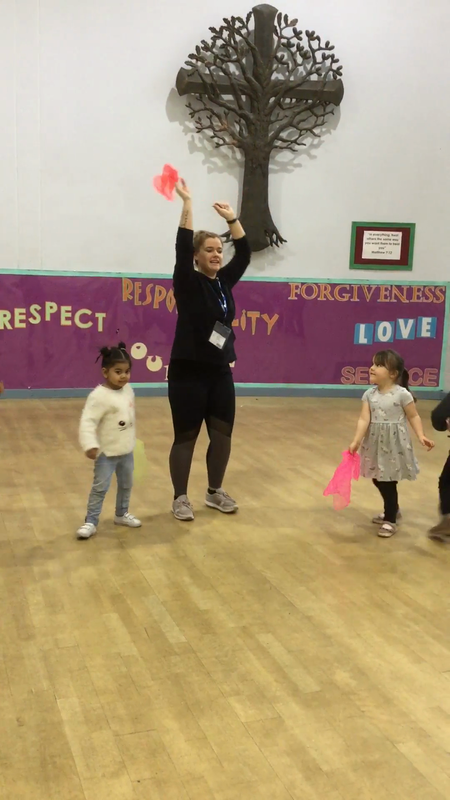 We performed a dance together and two of our nursery families came to tell us all about how they celebrate Diwali and what it means to them. We enjoyed talking about the festival together. We went on a walk around the school, looking for signs of Autumn. We collected leaves, pine cones and spinners along with conkers. We noticed that the leaves had changed colour from green to yellow and brown. What a good start to the school year! Thank you for allowing the teachers to visit and we enjoyed meeting everyone and their families. The children have settled in really quickly and are becoming enthusiastic, independent learners. We are beginning to explore the school grounds and will be going 'on a bear hunt'. We are also looking at the signs of Autumn and searching for different colours. It is Brown Bear's birthday soon and he sent us a letter to ask us to organise a party for him. We will be writing lists of things we might need. We will make birthday cards and wrap presents. We will write invitations and make a birthday cake. The party will be in the morning on Thursday 18th October and all the Nursery children are invited. Watch this space for photos of our celebration.